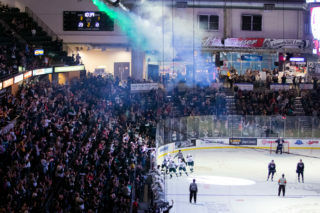 Game 5, first round … fourth lifetime playoff matchup and in the last five seasons … the Silvertips lead the series, 3-1 and can eliminate the Thunderbirds and advance onto the second round tonight with a victory … the Silvertips went 22-1-0-2 on the road and 22-12-2-2 against opponents from the U.S. Division this season … the Silvertips went 6-2-0-2 in the regular season series against the Thunderbirds … this is the 5th occasion in Tips history that they have led the series, 3-1 (Tips have won 4 playoff series in that scenario). 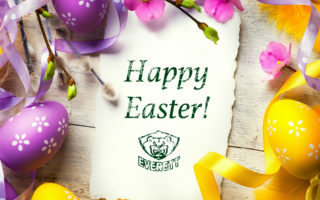 The Silvertips are 7-7 lifetime in Game 5 … their last Game 5 win was in the first round of the 2017 playoffs, when the Silvertips defeated the Victoria Royals, 3-2 in sudden death overtime (Eetu Tuulola goal). 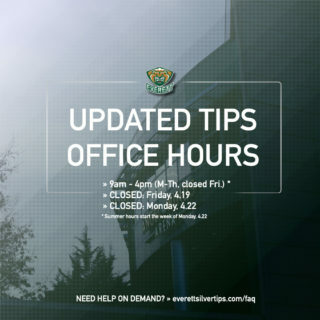 NOT STANDING PAT: Patrick Bajkov, the leading Tips scorer, set the new Silvertips all-time scoring record with 264 points on Feb. 2, when he surpassed Zach Hamill with a first period power play goal … Florida Panthers prospect has twice tied his career high of 5 points … he is the Tips all-time leader in goals, points, and assists … Bajkov had a goal and an assist in last night’s Game 4 win at Seattle. HART OF THE MATTER: 19-year old Carter Hart, three-time reigning Silvertips MVP and back-to-back WHL Goaltender of the Year, led the WHL in both goals-against-average (1.60), save percentage (.947) and shutouts (7) … the Philadelphia Flyers prospect was named Western Conference Goaltender of the Year for the third straight season on Wednesday … he is in his in his 4th season with the Silvertips, the franchise leader in wins (116) … Hart made 28 saves in his Game 4 victory at Seattle and carries a lifetime save percentage of .921 in the postseason. 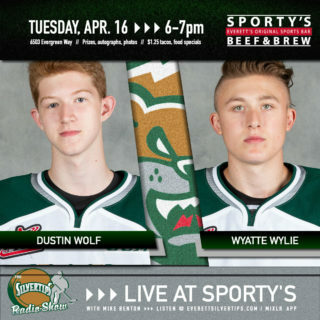 SPREADING IT AROUND: The Silvertips have scored 18 goals in the first four games of the playoffs … 16 players have registered at least a point … 11 different Tips players have recorded a goal. 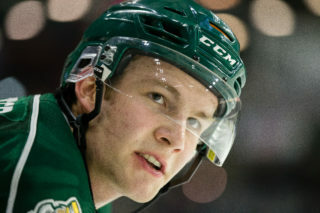 EVT 2 – TC 0 (3/31/06): Zach Hamill scored both goals and Leland Irving (first star) outdueled Carey Price with a 25-save effort to lift the Silvertips to a 2-0 victory, eliminating the Tri-City Americans in the first round in a 4-1 series win … a crowd of 5,705 witnessed the Tips penalty kill going 5-of-5.